It began with an electric twang, something like the buzzing and snapping wires which power San Francisco trams. Although instead of a large vehicle, the springs catapulted two florescent orange rabbits around a loam race track. When they hit the straightaway in front of the grand stand, eight metal gates cracked open releasing an equal number of muscly lightning bolts. As the greyhounds arced around the track, the hastily assembled crowd of punters began yelling and cheering. It was easy to tell the locals from the visitors. The latter arrived in large groups and wore tucked dress shirts and tight dresses. The former wore sweat suits and passed their kids picnic platters. Twenty seconds later the race was over as quickly as it had begun. The crowd retreated back under the stadium to spend the next ten minutes buying beer and placing bets. The cold outdoor stand was now empty and only one elderly man remained at the end of my row. I liked the name so I thanked him for the advice and left to place my bet. “Cross fingers!” He called as I walked away. It’s not just the punters that arrive at the races with stars in their eyes. 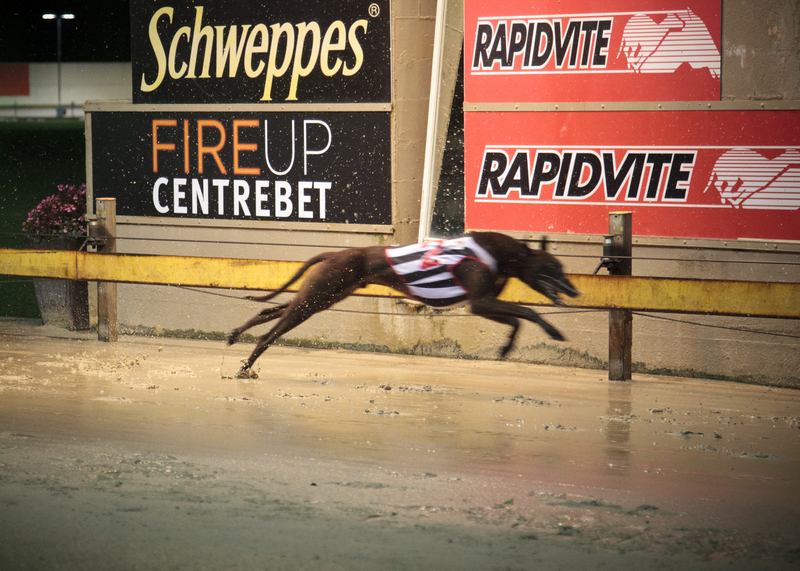 Out of the entire state of NSW, Wentworth Park offers the largest cash prize for winning dogs. Which means that as the greyhound owners are catching their dog’s bowel movements in silver soup ladles, they are dreaming big dreams. Poor Saigon Su didn’t even come close to winning. However my next bet, Compass, did. With a winning ticket in hand I strolled back under the stadium to a small betting window built into a staircase. “Big money!” I grinned at the elderly woman behind the window. She had permed white hair and wore a vest over a white short-sleeved shirt. On her right-hand side was a plastic tray filled with rows of coins. Unimpressed with my earnings she advised me to stick around for the bracelet. It was some expensive promotional gift they were giving away for Mother’s Day. Remembering the prize to be won, her red lips drew into a frown. “We aren’t allowed to enter because we’re employees.” Unfortunately I hadn’t fared much better on that front either. “They already called the winner and it wasn’t me,” I replied with a matching frown. She shrugged her shoulders in shared disappointment. I appreciated her maternal gambling advice- moms are always right about that kind of stuff.